Here’s a mental exercise for you. Imagine just for a second that PDVSA was a properly run oil firm with an adequate worker safety culture and well-developed mechanisms in place to investigate, analyze and learn from past mishaps. Could we see the report from the investigation you conducted this year after a tanker operated by PDVSA damaged its hull by hitting a sandbank in the Caribbean? 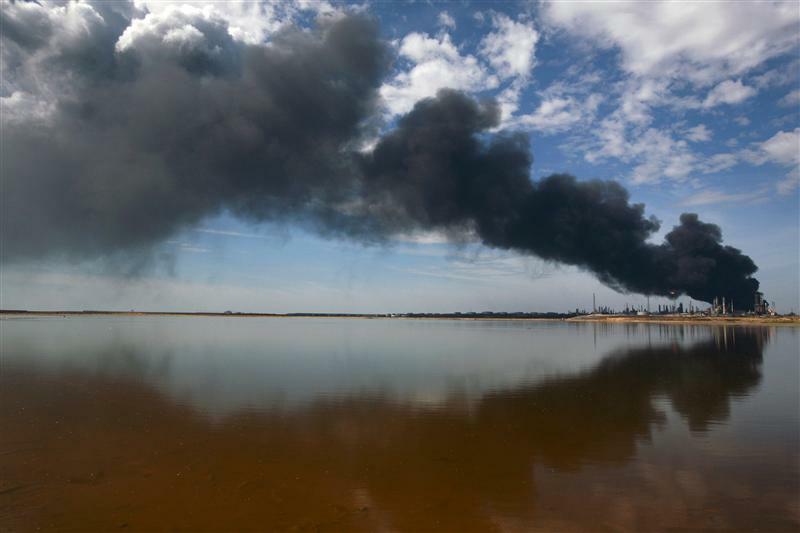 Would you explain the exact circumstances that led to the fire that temporarily halted production earlier this year at Cardón, Venezuela’s second-biggest refinery? What were the causes of the small fire that briefly stopped a distillation unit at Amuay earlier this year? Could you tell us what was done after a tanker collided with a loading dock at Petroanzoategui, one of Venezuela’s heavy crude upgrader to prevent any repeat? What new safety procedures were implemented at Petropiar after the small explosion that stopped a unit at the heavy oil upgrader in 2011? Could you outline the new safety measures introduced after a fire briefly halted operations at a terminal that serves Petroanzoategui, Petropiar and a third upgrader, Petromonagas also last year? Have you now pinpointed the reasons for the explosion at Petrocedeño, Venezuela’s fourth upgrader, that killed one worker and wounded three last year? Could you explain the results of your investigation into the three fires that broke out at oil storage terminals on Bonaire and Curacao islands, and at a loading dock at the Cardon refinery on the mainland in 2010? Were you able to verify claims that the two terminal fires were believed to have been caused by lightning storms? What have you done to better protect such facilities from electrical storms? What were the causes of the explosion that forced the shutdown of the alkylation unit at the Puerto La Cruz refinery two years ago? What were the circumstances of the oil spills that marred Lake Maracaibo in 2010? Did the police ever apprehend and indict the thieves PDVSA accused of sabotaging facilities to steal equipment causing the spills? Were you able to ascertain the exact circumstances of the sinking of the Aban Pearl natural gas exploration rig in 2010? And going back to 2008-2009, why did at least two barges operating on Lake Maracaibo sink while carrying out maintenance work on wells? What have you done, specifically, to ensure that can’t happen again? Have you come to a definite understanding of the causes of the death of the worker who was killed and buried while operating a coke transporter at the Jose solids terminal in the eastern state of Anzoategui? And do you understand, with precision, how a worker at the Petroboscán joint venture, formed between PDVSA and Chevron, died of a head injury while operating a drilling rig in Zulia state in 2007? Have you looked in detail at the dozen failures at refineries recorded in 2007? How about the spillage of 140,000 gallons of gasoline at Curacao’s giant Isla refinery that led to the evacuation of schools and businesses in the area? Could you explain the specific operational changes you implemented after the five accidents that claimed three lives and injured five people at the Paraguana Refining Complex (CRP) in 2007? Could you explain the new safety routines you implemented after five workers died and 20 were wounded in an explosion in November 2005 at the CRP? What were the lessons learned from the huge fire that killed at least two workers at the La Salina boarding terminal in Zulia state in 2004? And what did you do to avoid any repeat of the explosion at an electrical substation at Amuay that injured two workers in 2003? Finally, can you explain why two drilling barges caught fire and sank in Lake Maracaibo in 2003, and why that can’t happen again?